Israeli President Reuven Rivlin has cut short his state visit to Canada and is returning to Israel to be with his sick wife. Rivlin arrived in Canada on Sunday. 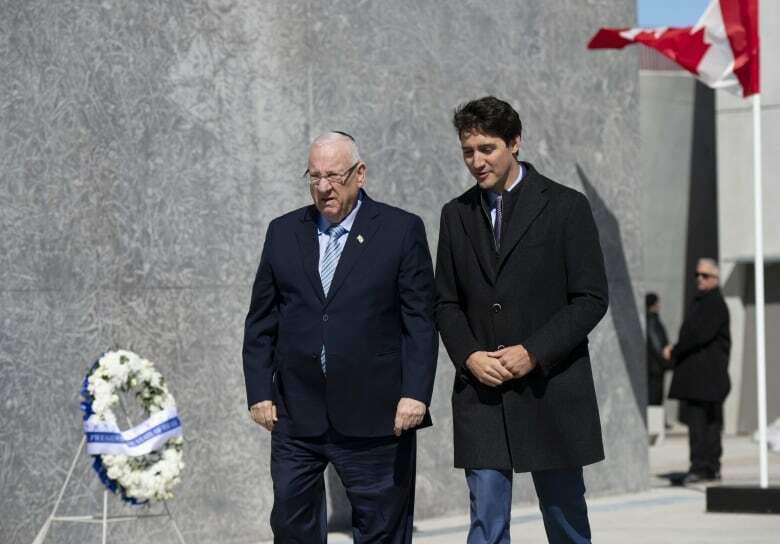 He and Prime Minister Justin Trudeau met yesterday to talk about trade and the updated Canada-Israel Free Trade Agreement before attending a wreath-laying ceremony at the National Holocaust Monument in Ottawa. Rivlin later attended a state dinner hosted by Gov. Gen. Julie Payette, along with Trudeau and his wife, Sophie Grégoire Trudeau. The Israeli Embassy issued a statement this afternoon saying Rivlin's wife Nechama experienced a sudden deterioration in her health. "For the last few hours, Nechama has been sedated and is on respiratory support because of severe shortness of breath due to cardiac complications," the statement said. "When the president lands in Israel tomorrow morning, he will go to Beilinson Hospital to be at her side." Rivlin is a former legislator in Israel's conservative-minded Likud party but his position as president is mostly apolitical. The visit was to mark 70 years of diplomatic relations between Canada and Israel. Rivlin said he hoped to strengthen links in science, education and security. Following their meeting, the Prime Minister's Office said Trudeau and Rivlin launched discussions on a "youth mobility agreement," which would allow young people from both countries to work in the other country while visiting. They also agreed on the need to always speak out against anti-Semitism and counter all forms of hatred. Trudeau and Rivlin were scheduled to attend the United Jewish Appeal Top Gifts Dinner in Toronto tonight. The PMO confirmed Trudeau will still attend the event.